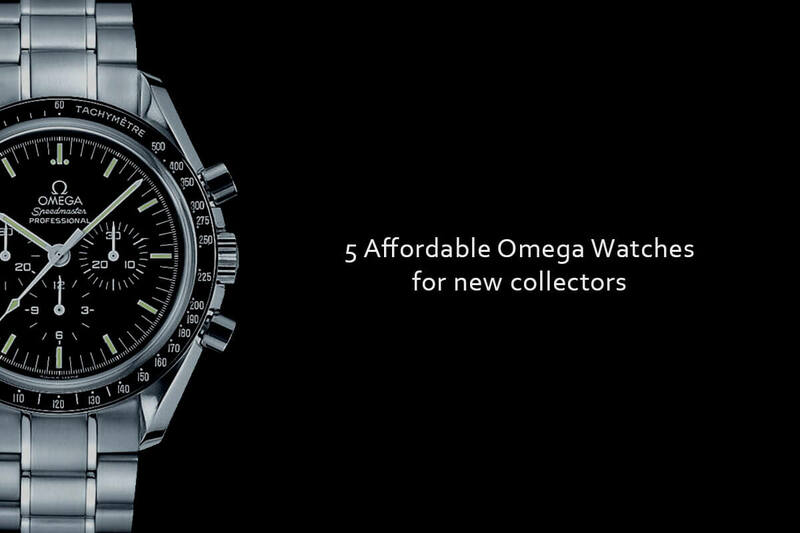 Some of the most innovative watches by Omega explained - and something you might not know about 904L Steel. 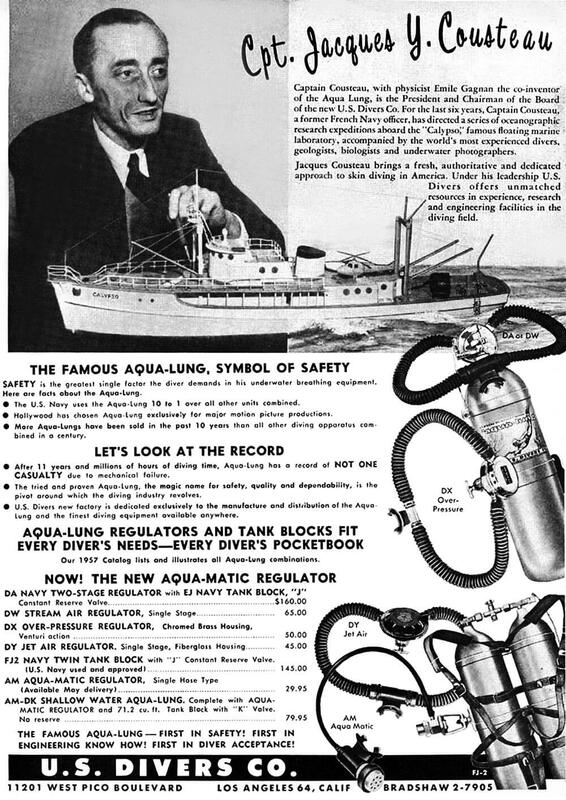 By the early 1940s, Emile Gagnan and Jacques-Yves Cousteau’s Aqualung – the first commercially successful self-contained underwater breathing apparatus (a.k.a Scuba)- had become a worldwide phenomenon. Along with the growing popularity of recreational diving, the needs of military and professional divers underscored the paramount importance of reliable sub-aquatic instruments. Developed in 1953, the Blancpain Fifty Fathoms is often regarded as the archetype of the dive watch: a robust, highly legible watch, water-resistant to great depths (91 meters, in this instance) and equipped with a unidirectional rotating bezel to time dives. However, the development of deep-sea saturation diving soon made even higher performing tools necessary – quite simply because professional dive watches had to adapt to the evolution of diving techniques. Saturation diving really got started in the late 1950s and the first commercial dives were performed in the mid-1960s. It allows professional divers to live and work under important levels of pressure for days or weeks. After working in the water, the divers live and rest in a dry pressurized habitat on a diving support vessel or platform, calibrated to the same pressure as the work depth. 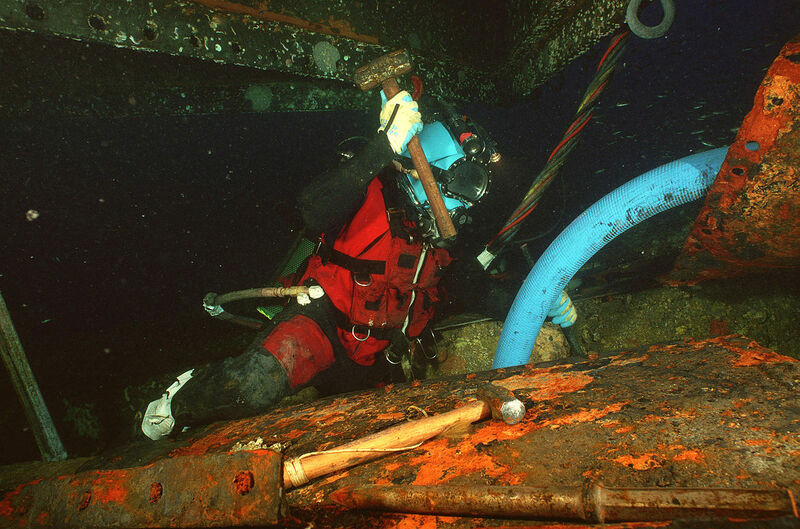 The underwater work teams are compressed to the working pressure and decompressed just once, thus limiting the risks associated with decompression to a single exposure. Saturation diving is dangerous; when divers are exposed to increased pressures for long enough, their tissues slowly get saturated with inert gases and these need to be released slowly during the decompression stages of the ascent. It is highly technical and there is no margin for the slightest error. The need for precise and reliable watches that could perform at great depths became a matter of life and death. In this context, professional divers worked with watchmakers to develop watches with extreme specifications. 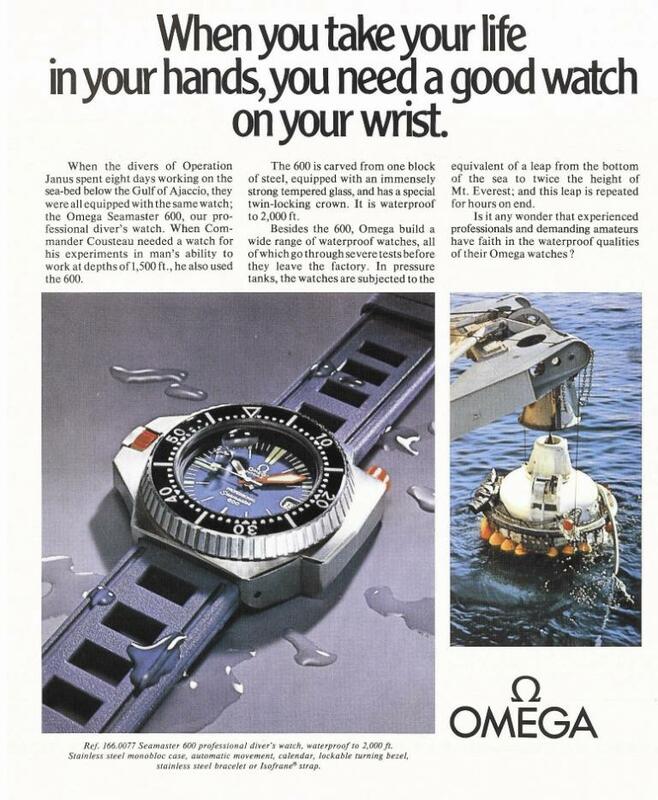 Among them, the COMEX is famed for cooperating with manufacturers such as Omega and Rolex. COMEX – Compagnie Maritime d’Expertise was created by Henri Delauze and specializes in engineering and deep diving operations. It carried out pioneering work in deep saturation diving experimenting with breathing gas mixtures and equipment for the conquest of the depths. 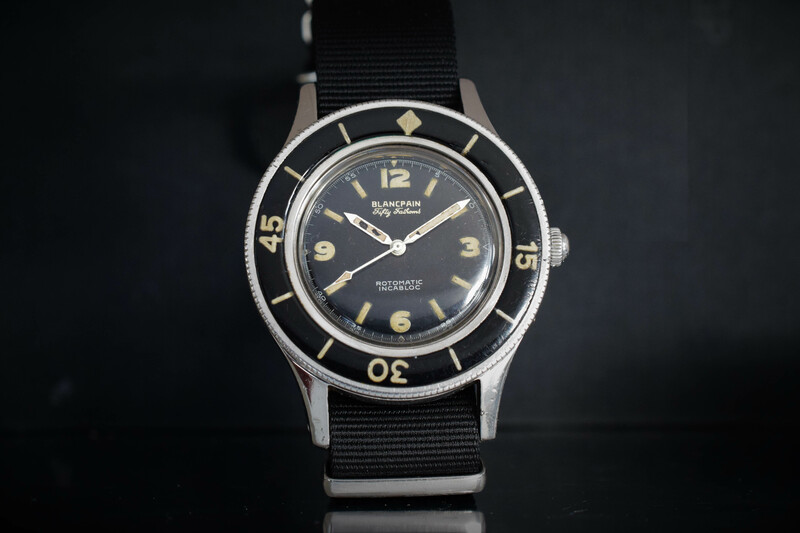 Delauze was one of the pioneers of saturation diving. He met Cousteau in 1952. In 1956, he joined the Société des Travaux Publics des Grands Travaux de Marseille, taking part in several important underwater construction projects. In 1959, he studied at Berkeley, California. There, he acted as a consultant for the US Navy and for offshore oil extraction. Realizing the potential of offshore oil drilling, he created the COMEX in 1961 in Marseille, France. He designed a hyperbaric experimental centre and personally participated in the first dives with helium at depths of 335m and 360m. 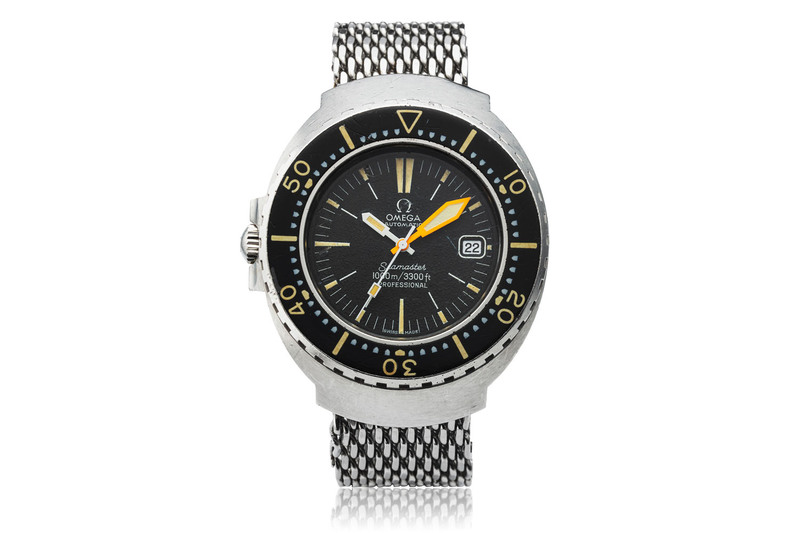 A few years later, in 1968, with the development of saturation diving, Omega started to cooperate with the COMEX to develop even more extreme watches. Saturation diving was still in experimental stages. With the French diving specialist company, the brand was involved in a huge research project, Ploprof, to develop the best possible watch for deep-sea saturation diving, for professional use only. (Editor’s note, Ploprof stands for Plongeur Professionel, Professional Diver in French). 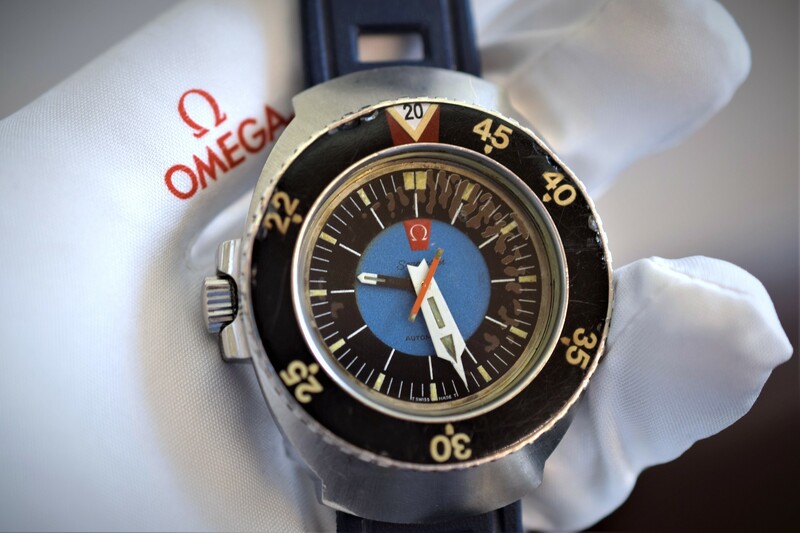 The COMEX used Omega watches for testing on both its Physalie (1968-1972) and Janus (1968-1977) programmes. 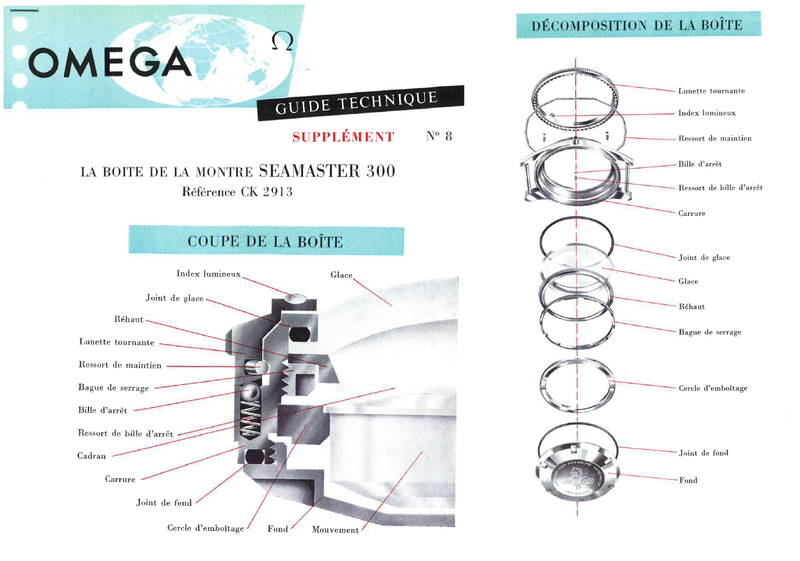 By 1968, Omega had developed two kinds of prototypes following the same requirement specifications. Two Ploprof projects coded internally ‘Ploprof 0’ and ‘Ploprof 1’ that would ultimately become commercial models. 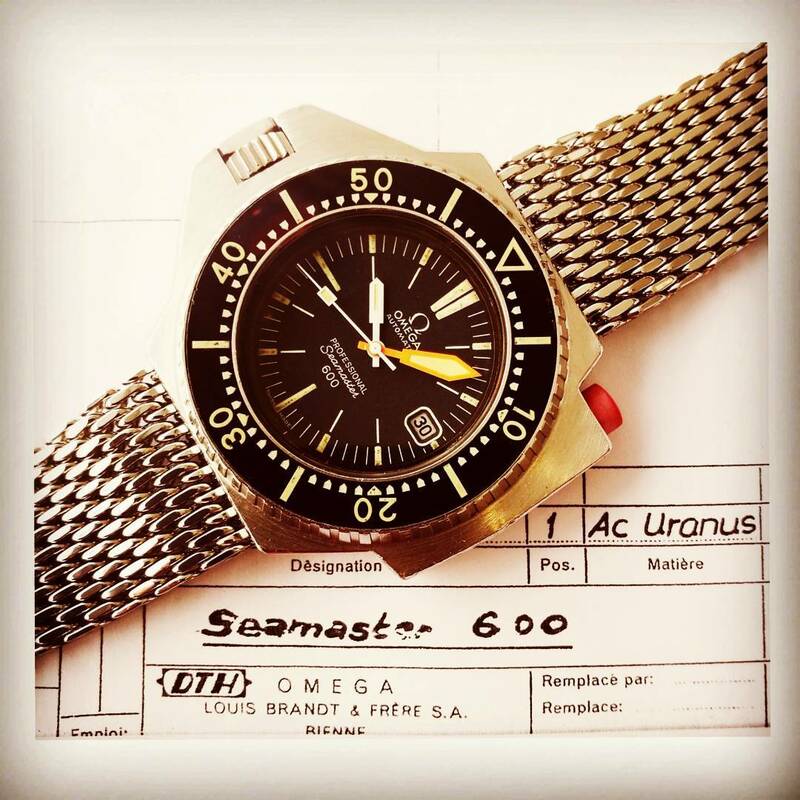 The Seamaster 600 Ploprof and the September 1970 COMEX test at -253m off Ajaccio, Corsica. Among the stringent requirements of the Ploprof projects, decompression for saturation diving was a major issue. As divers go deeper and deeper, pressure renders the air toxic and divers have to breathe different gas mixtures saturated with helium to prevent the risk of inert gas narcosis. As one of the smallest elements, helium can penetrate a watch where water or oxygen cannot. During a deep dive, the pressure inside the watch gradually equals that of the vessel/bell. During the ascent, the reversion to surface pressure can eventually cause the crystal to pop off. Several approaches were devised to address this issue. 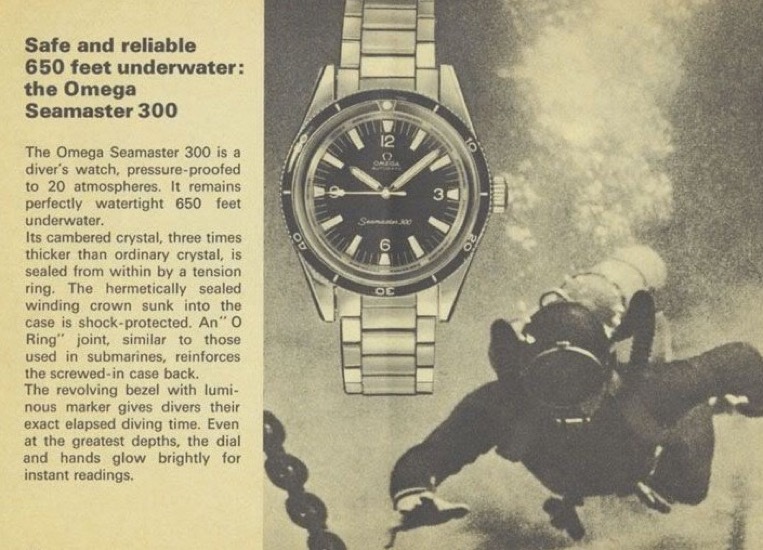 In the late 1960s, Rolex and Doxa developed the helium relief valve (HRV) a clever solution to enable the pressure to escape automatically when the difference between the inner and outer pressure rises to a critical level. However, the addition of an HRV comes with a drawback. 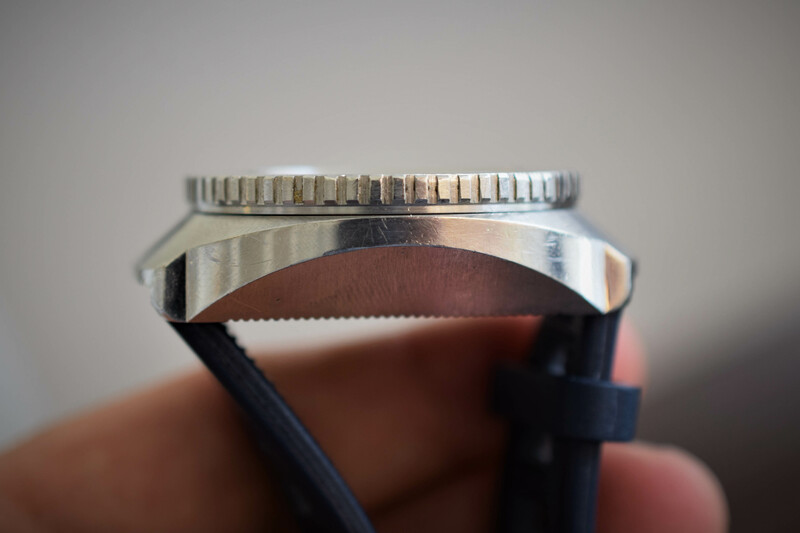 It adds another hole in the watch case: another point that might affect its water-resistance. Watchmakers also worked on case architectures to prevent the glass from popping off. 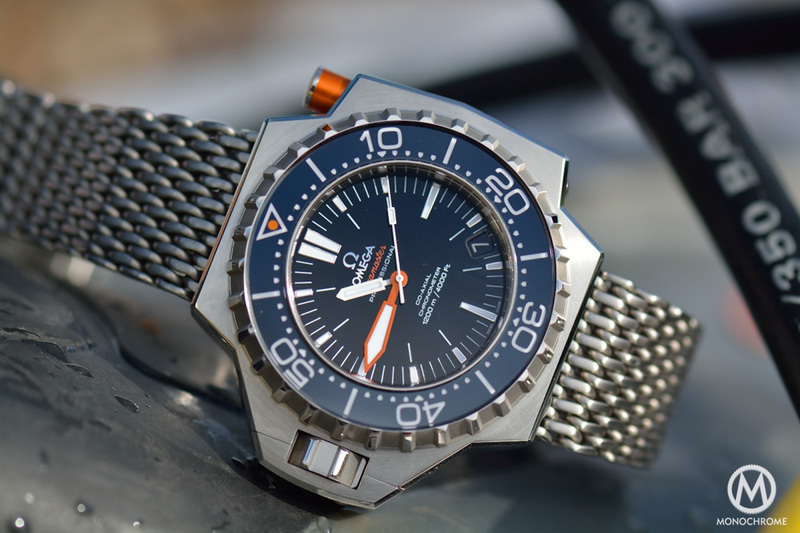 (The Seamaster 300 CK2913 itself provided an interesting solution. Its hesalite glass featured a flat rim and was inserted from the caseback and then maintained by a ring screwed from the caseback too. With this construction, the crystal is not held in place by pressure and hence it cannot pop out). 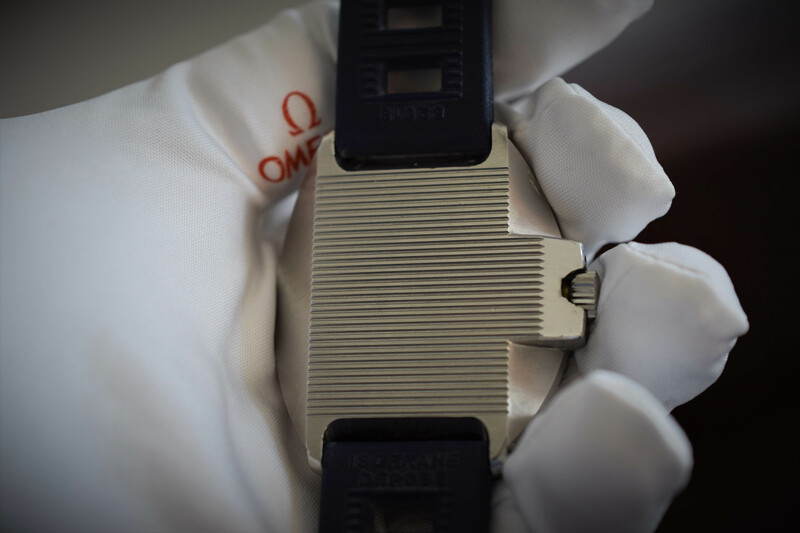 The originality of the Omega ‘Ploprof’ approach was that it consisted in preventing helium and other gases from entering the case, designing and crafting perfectly helium tight cases. The Ploprof 1 prototype gave birth to the Seamaster 600 Plongeur Professionel, the PloProf as we know it today. The model debuted commercially in 1971/1972. 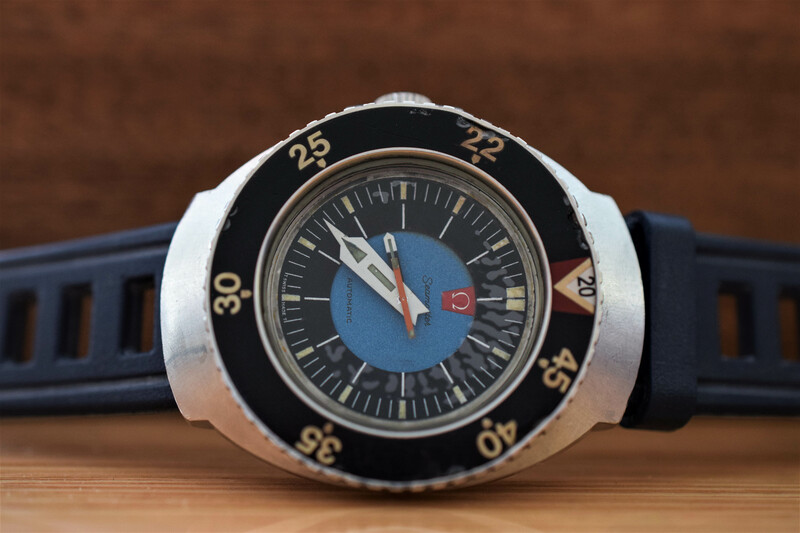 This beast of a dive watch was 55mm x 13.5mm and stood out with its asymmetric design and its monobloc case construction that would not let any gas in. The PloProf was rated water-resistant to 600m but was tested to pressures exceeding 1,300m. Among its other unique characteristics was its chemically hardened mineral glass, its dial layout and its bezel locking device. The bezel is bi-directional but it can only be turned while pressing the red pusher. The materials and metals used to craft such an avant-garde watch were of paramount importance. 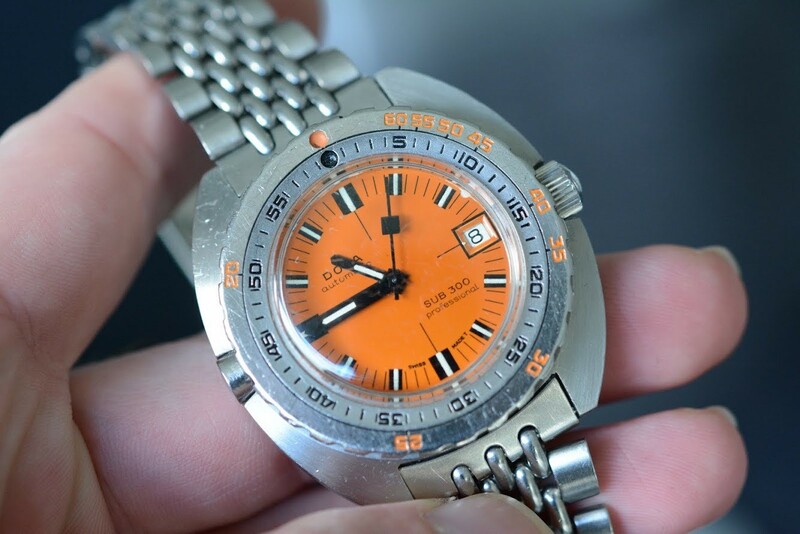 The Comex divers working in extremely corrosive environments (specifically for oil drilling) required a watch crafted from a highly resistant metal. Omega tried several materials (included titanium!) and ended up crafting the Ploprof out of Uranus steel. An original internal Omega document showing the use of Uranus Steel (matière, meaning material), also known as 904L steel – circa 1972. This innovative alloy is perfectly suited for offshore and subsea industries. Uranus steel was also used by Comex to craft tools that would be highly resistant to seawater corrosion and aggressive environments. Today, it is better known under the name Inox 904L, the type of alloy used by Rolex at the end of the 1980s. For more details on this topic, check our video published a few days ago: the Seamaster Chronicles, Part 1. The second Ploprof project – named internally as ‘Ploprof 0’ at Omega – is less known and was actually the first! It was in fact developed a few months before the Ploprof 1 and would give birth in the mid-1970s to one of the rarest and most sought-after Seamaster watches, the Seamaster 1000 with its characteristic oval case and the Seamaster with the deepest rating for years. 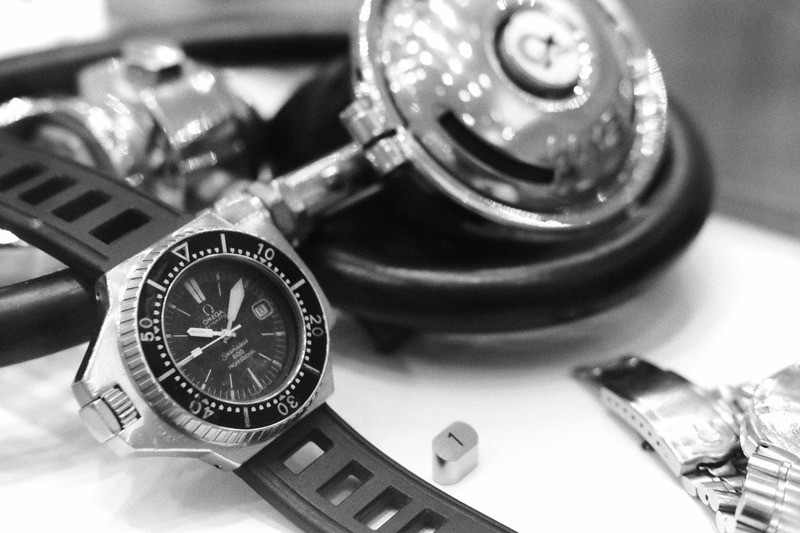 The ‘Ploprof 0’ shares many characteristics with the Seamaster 600. 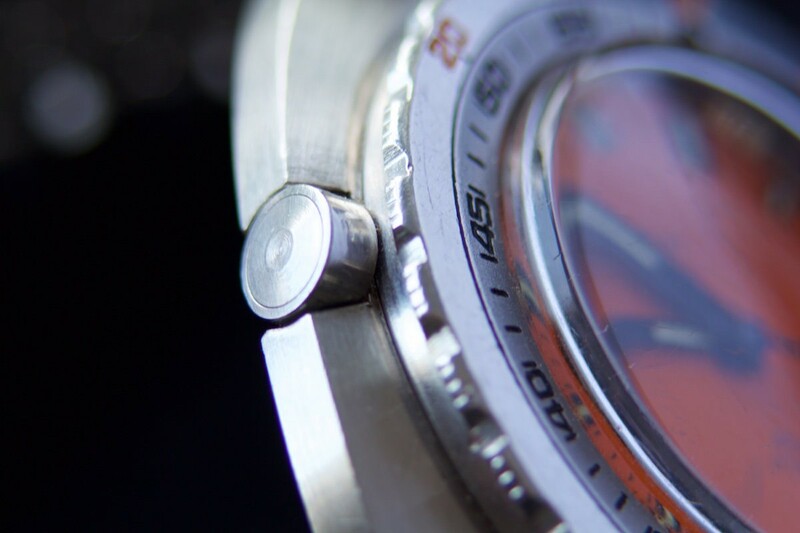 Every detail on this tool/professional automatic dive watch had a utilitarian purpose. The massive steel case was a monobloc construction, 38mm from 9 to 3 o’clock, 54mm from 12 to 6 o’clock. The thick mineral crystal of the prototype was made from two separate parts that were subsequently attached securely together. Like this, the complicated form of the crystal’s profile could be manufactured with ease. The crystal itself was secured to the case by a ring from the top. 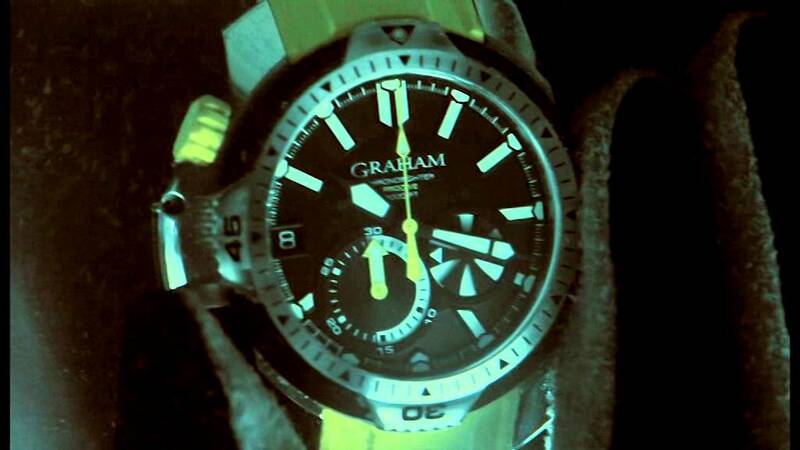 The crown was positioned to the left of the case to avoid any unwanted operations underwater while allowing the wrist to move freely. While the case for the commercialized models would be curved for enhanced ergonomics, the prototype still featured a flat case with a grooved anti-slip back. The bezel was rotatable with a no-decompression graduation in metres. The high contrast dial featured tritium-coated markers. The minute hand was the most prominent hand because this is the only important one. The short central seconds hands, highlighted in orange, had no other utility than to check that the watch was running. 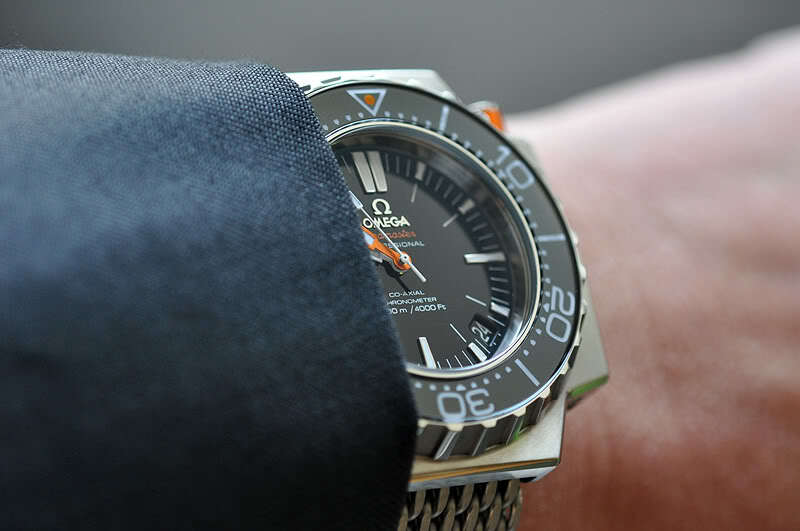 The Omega Seamaster 1000, the result of the Ploprof research program (image by Christie’s). Sincere thanks to Petros Protopapas and the Omega Museum team for their help.